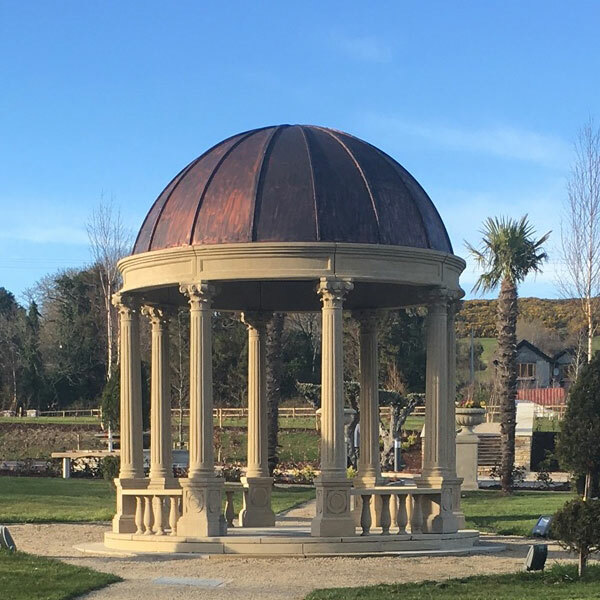 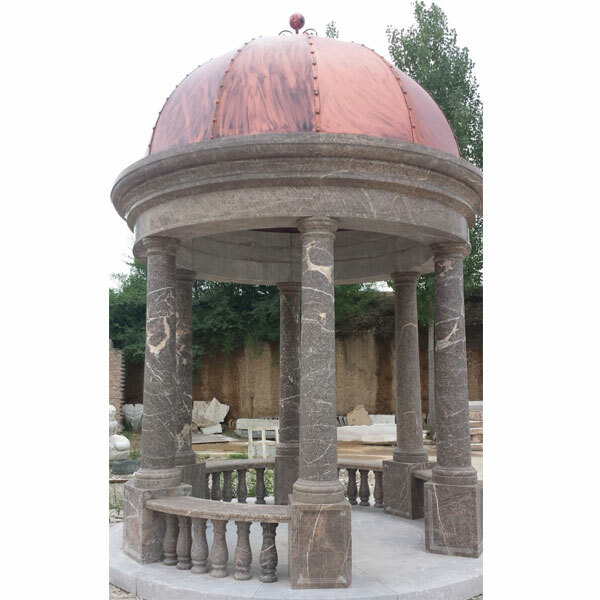 Don't forget we can hand carve any solid stone size, color Gazebo, Garden Gazebo ,Greek Columns or Pillars – just ask (no extra charges or fees)…! 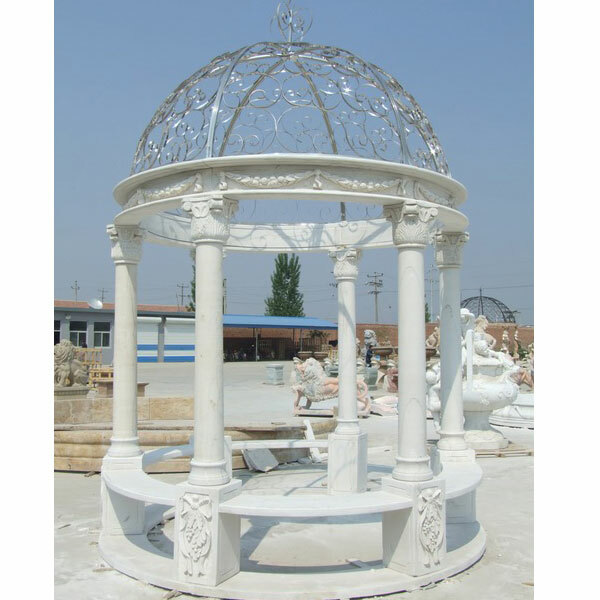 PRICES -INDIVIDUAL FILE PICTURES upon request for Quality Outdoor Gazebo, Marble Gazebos… . 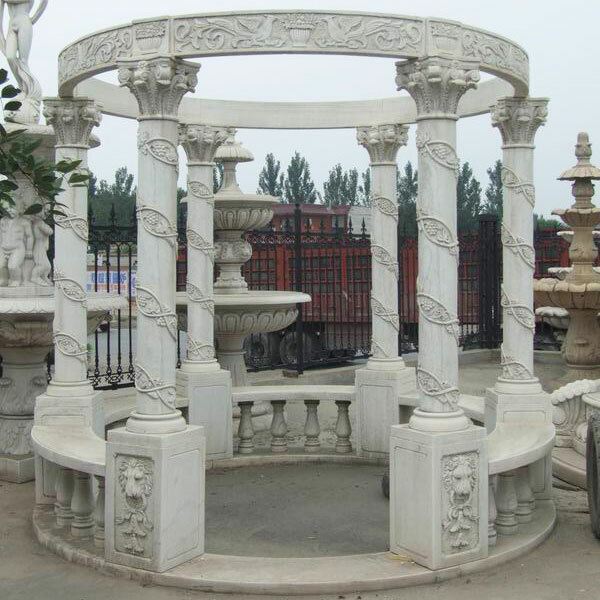 Retail Price: Call Us! 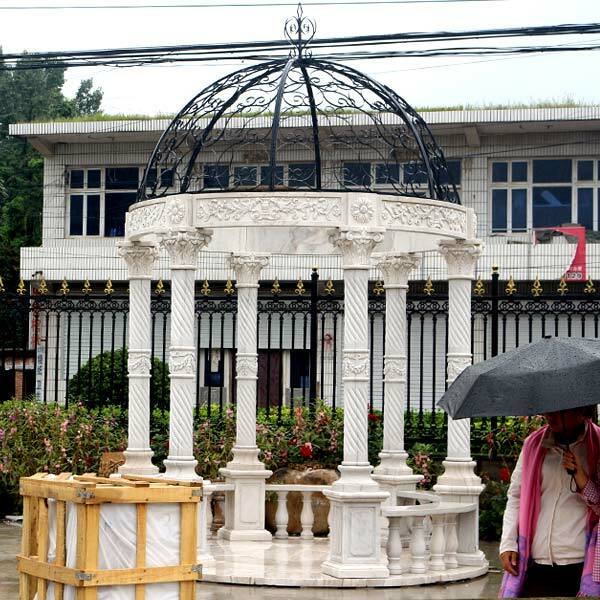 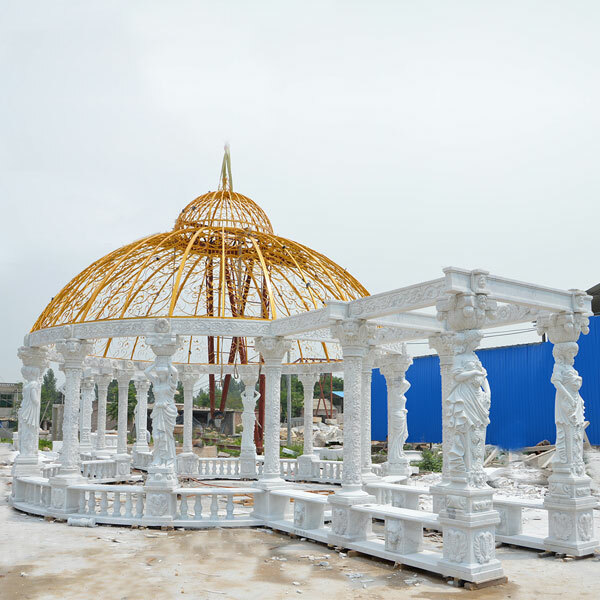 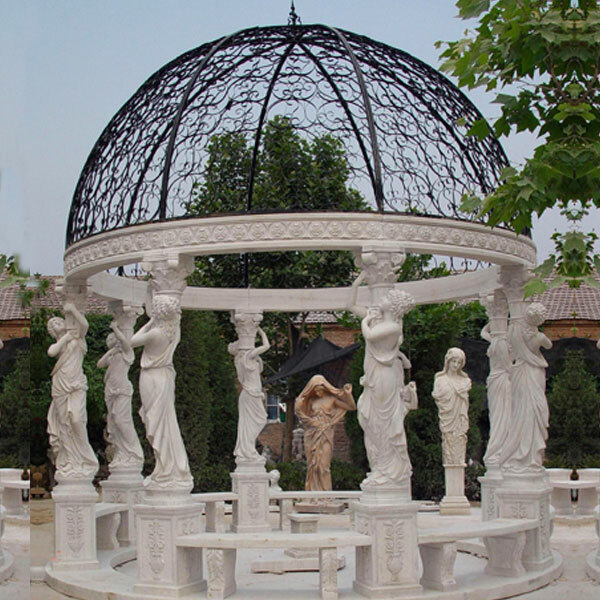 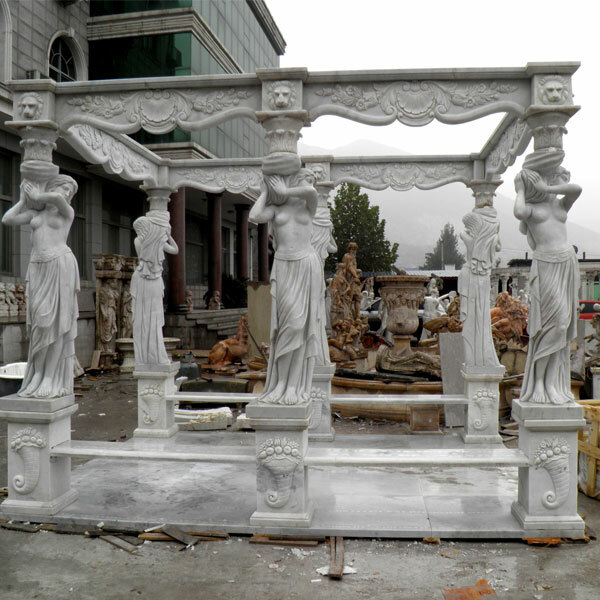 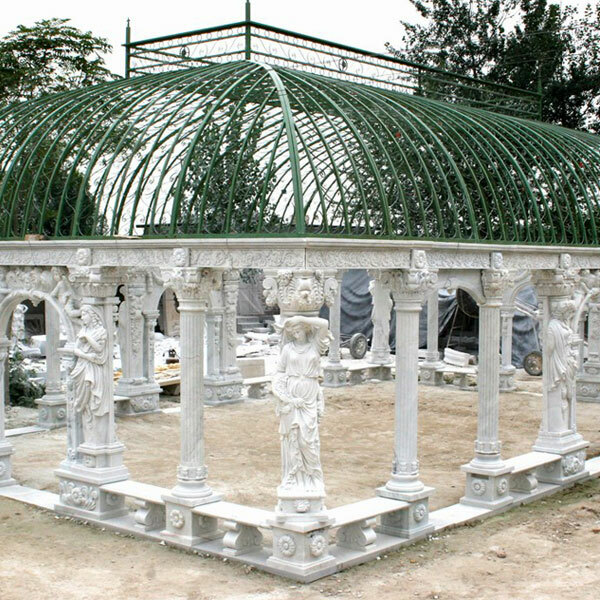 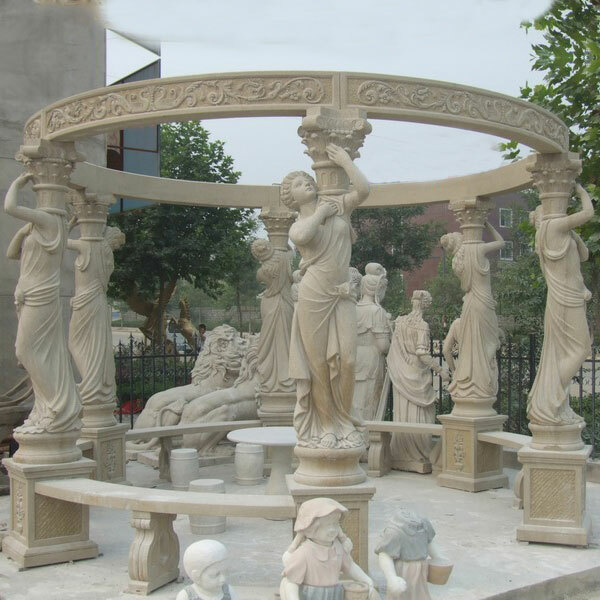 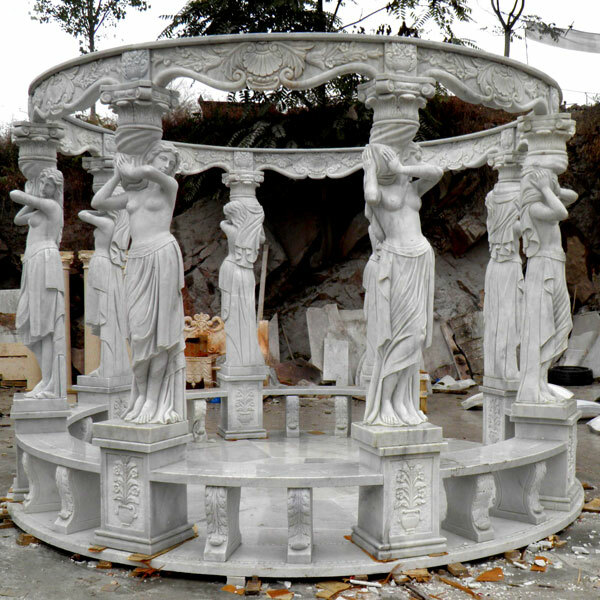 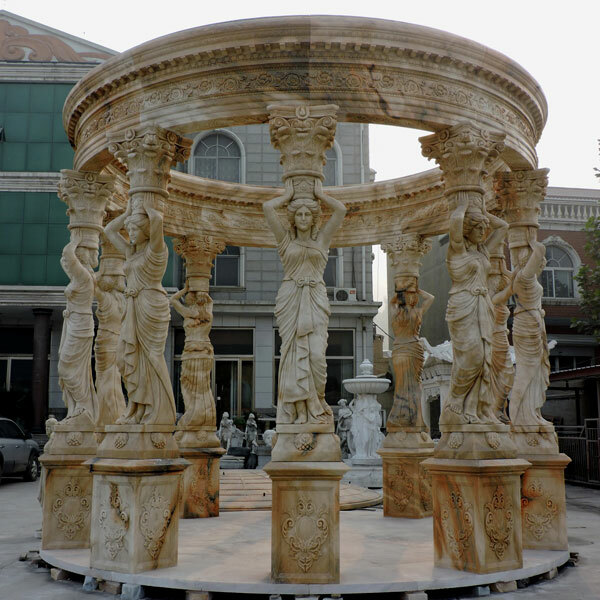 In Stock This gazebo is made of an intricately detailed white Carrara marble and adorned with six breathtaking muses. 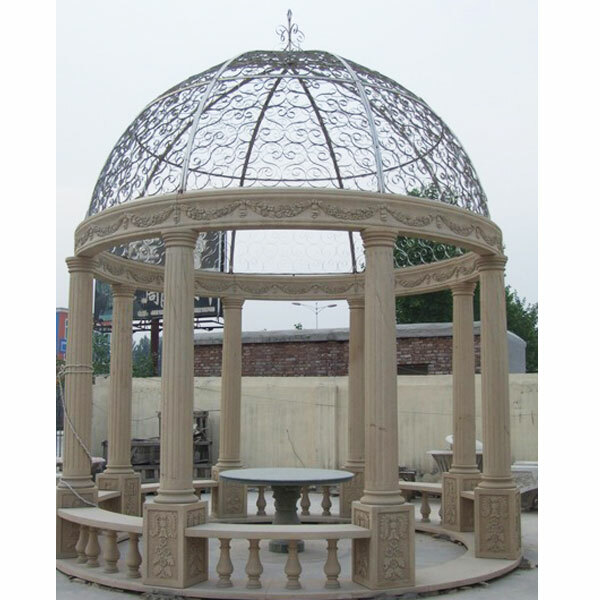 The roof is displayed with a rectangular wrought iron dome to create a Romanesque look and a pleasant outdoor retreat for social gatherings. 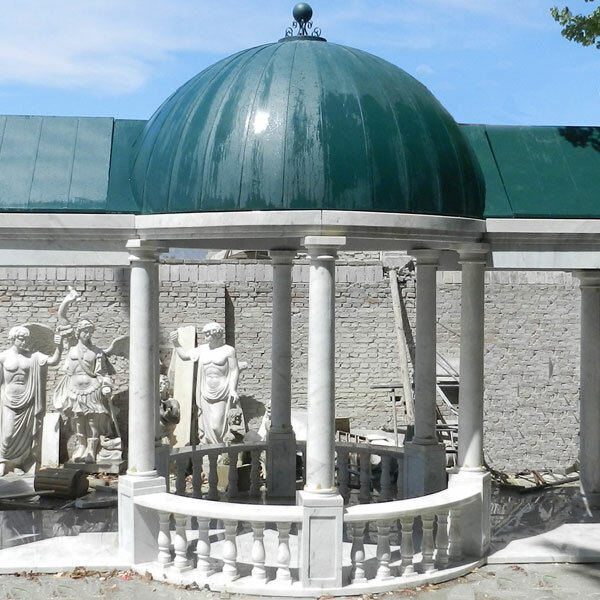 The outdoor yard has become an extension of The outdoor yard has become an extension of the living area and at Riverstone we recognize this. 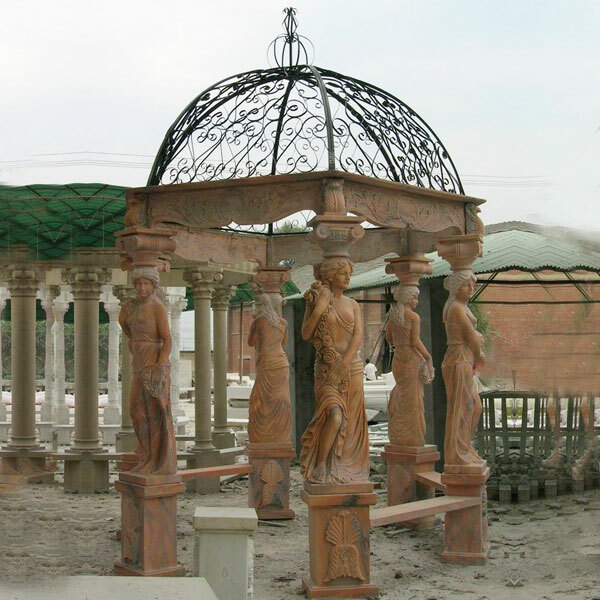 The ACACIA Gazebo program offers the enthusiast the ability to extend their covered living area with the safety and security provided by our heavy duty but simple to assemble design.